Posts Tagged "preschool group speech ideas"
HomePosts Tagged "preschool group speech ideas"
I am a huge proponent of using music with preschoolers during speech therapy. I run weekly circle time speech groups in my preschool classrooms and I have seen how music can increase engagement and help children with many different speech and language skills. Some of the goals that I work on through music are verbal imitation, gross motor imitation, following directions, prepositions, body parts, vocabulary, and more! 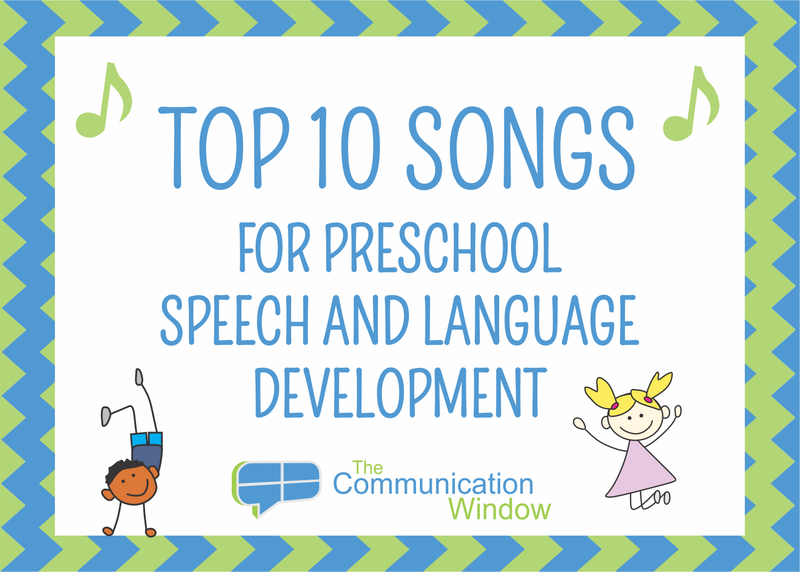 Here are my top 10 songs for preschool speech therapy with links whenever possible! What are You Wearing? by Hap Palmer: I use this song as my “circle opener” every week to cue my students in that speech circle time is starting. It is a grew song for learning clothing vocabulary and working on gross motor imitation as well as “what” questions. One Little Finger by Super Simple Songs: All the Super Simple Songs music is fantastic for language skills but this particular song is one of my favorites. It is great for learning body parts, following directions, and learning to point. The youtube video is great too and has helped some of my students learn to isolate their pointer finger. Can An Elephant Jump? by ELF Learning: This super fun song is great for lots of goals! Learning action words, yes/no questions, gross motor imitation and more! Kids think it is super funny and I never get sick of it! Animal Boogie by Barefoot Books: This is actually a book with accompanying CD but it’s something I always keep in my circle time bag. 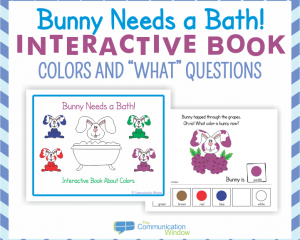 It gets requested frequently by my students and it is great for working on action words, gross motor imitation, and commenting (I always ask student’s what animal they liked best while we look at the last page that shows all the animals. We All Go Traveling By by Barefoot Books: Another book with CD by Barefoot Books! This is definitely my most requested book/song by my preschoolers. I love it because I pair a gross motor action with each of the vehicles (stomping for the rumbly truck, etc) and it gets lots of gross motor and verbal imitation from my students. It also grabs the attention of many kids who are tough to engage! The Body Rock by Greg and Steve: There are several good songs on the Kids in Motion CD by Greg and Steve (Freeze Dance is another favorite) but The Body Rock gets the most play with my kids. It is great for learning body parts and getting gross motor imitation. Spider on the Floor by Raffi: Pair this song with some cheap dollar store spiders and you have a winner for teaching body parts and following directions. Puppy, Puppy, Puppy by Kids Express Train: My favorite song on the Imitation Station CD. I have a cheap set of puppies from Oriental Trading Company that I use with this song. It is great for action words, following directions, and getting kids to imitate “woof”! 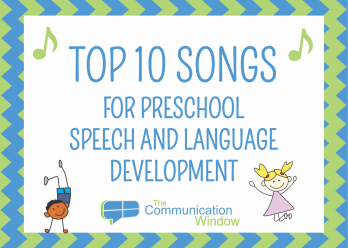 I hope you find this list helpful for adding in some great songs for working on preschool speech and language skills! March really snuck up on me but luckily I have a great stash of spring-themed activities to use with my preschoolers! I do both a whole group language lesson (circle time) and small group centers language lessons with my preschoolers with autism. 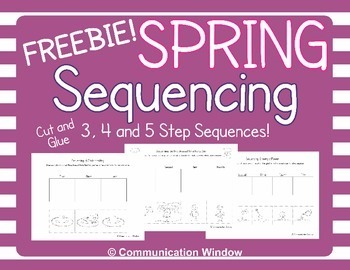 Here are my lesson plans for 4 weeks of spring-themed preschool group speech activities! 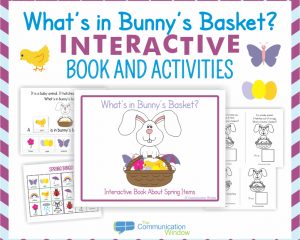 They include books and activities from my TPT store, commercially available books, and FREEBIES! 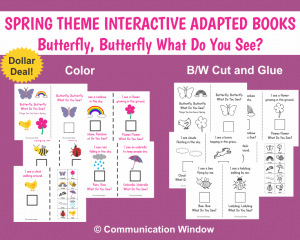 Free Spring Categories Cut Color and Glue Pages: freebie for sorting items into categories! Those are my spring preschool group speech therapy lesson plans! I hope you find them useful! Happy Spring!